Pteranodon is an extinct genus of pterosaurs that lived around 85-75 million years ago. 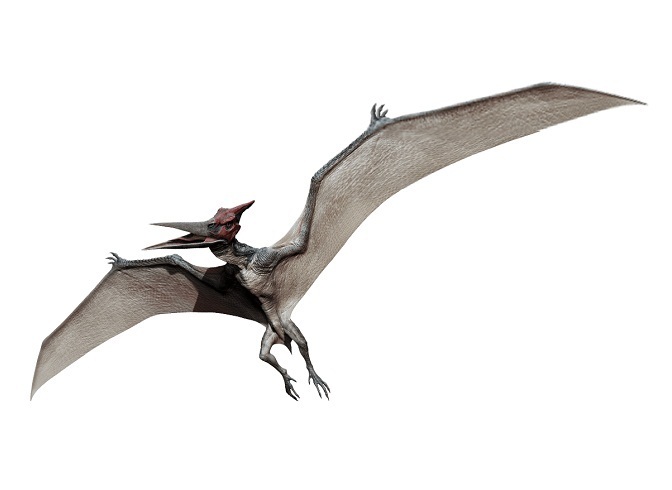 Pteranodon species existed for over four million years. 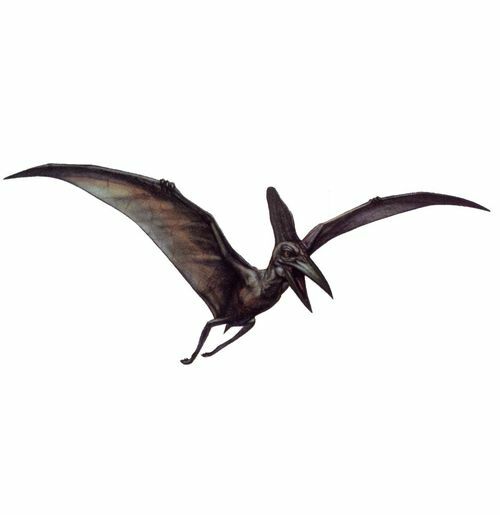 Even though Pteranodon is frequently associated with dinosaurs, it was a flying reptile. It is often mistaken as Pterodactyl. Pteranodon had a giant pelican like appearance. Their wingspan was larger than any known bird species. One of its distinctive features was its cranial crest projecting upward and then turning backward from the skull. It is believed that the long, light-weight, bony crest helped in balancing their beak and jaws. Some researchers stated that it was probably something to do with sexual dimorphism or probably used in attracting mates during the breeding season. In fact, it has also been said that they worked as a stabilizer or rudder while flying. They had large brains and good eyesight. 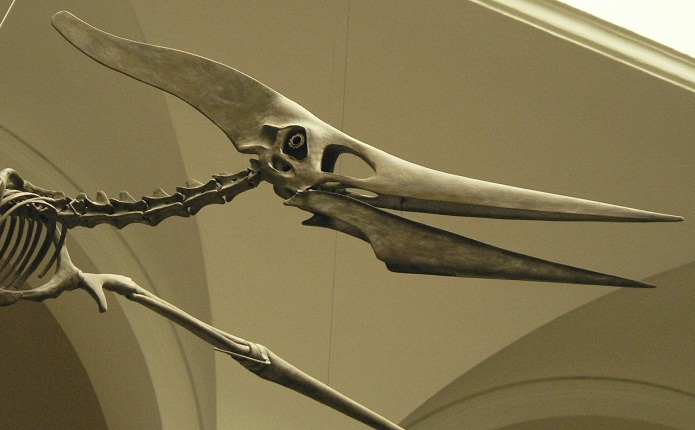 Pteranodon had no teeth on their beaks. Their upper beak, which was longer than the lower one, was curved upward. It had strong hind legs. Their wings were covered with a leatherlike tissue layer which stretched from the top of its legs to its fourth fingers. It had hollow bones and it also possessed a short tail. Their body was probably covered with fur. 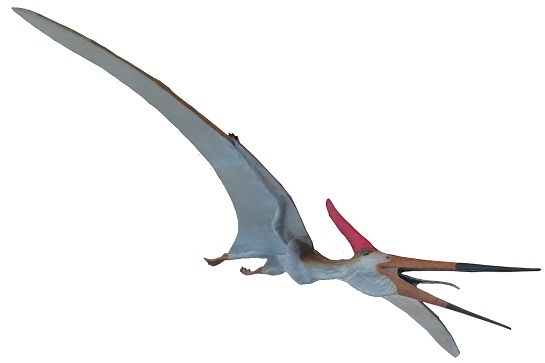 Pteranodon was the very first known pterosaur outside Europe. First fossil remains were found in the Late Cretaceous Smoky Hill Chalk deposits of Kansas, United States, by Othniel Charles Marsh in 1870. This genus is known from extremely well-represented fossil samples. As of now, more than 1000 skeletal remains have been unearthed. The fossil materials represent both male and female of various age groups and species. Fragmentary fossils assigned to this genus have also been found in Skåne, Sweden. Researchers believe that they were primarily fish eater. The probably scooped out fish from the water by dipping their beaks into the water while in low flight and swallowed them whole. They also fed on mollusks, crabs and insects; and scavenged on the carcasses of dead animals. It is believed that they primarily dwelt on offshore rookeries, safe from land predators. 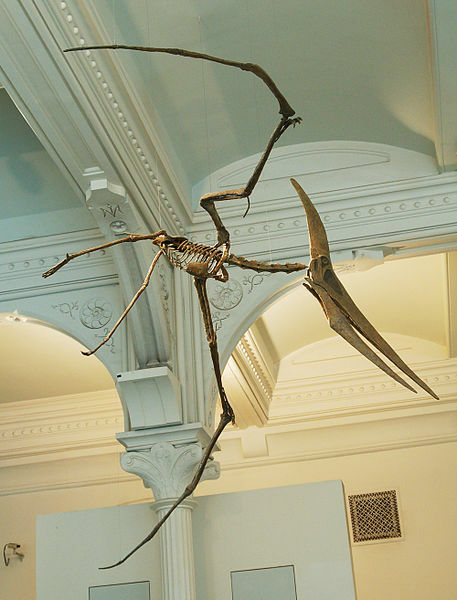 Pteranodon was modern-day albatross like flyer. But, unlike the albatross, it occasionally required rapid burst of flapping. In fact, studies have shown that Pteranodon were capable of flapping flight to an extent, rejecting the initial suggestions that they could just glide. Like other pterosaurs species, they also took off from a quadrupedal position getting all of the energy generated by the forelimbs. Pteranodon longiceps probably shared their territory giant-crested pterosaur Nyctosaurus. Pteranodon has features in documentary films, online games and toy-lines. Published on January 7th 2016 by admin under Reptiles. Article was last reviewed on 15th November 2018.